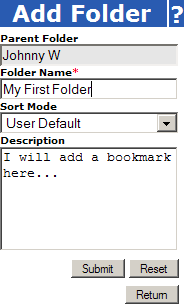 Right click on a folder or a tree where you want to create a new folder. A context menu will be displayed. Select context menu item Add Folder. 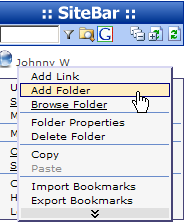 An Add Folder dialog shown below will be displayed. Parent Folder - this field is read only, you can verify where your new folder will be created. Folder Name - enter a name. Description - for each folder a description can be entered.